As Autumn freezes towards Winter, where better to seek solace than Italy? 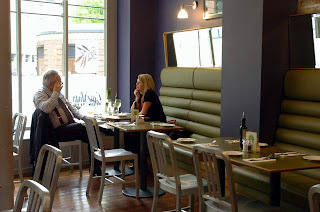 Its leisurely lunches, good wine and conversation are a perfect antidote to seasonal blues. 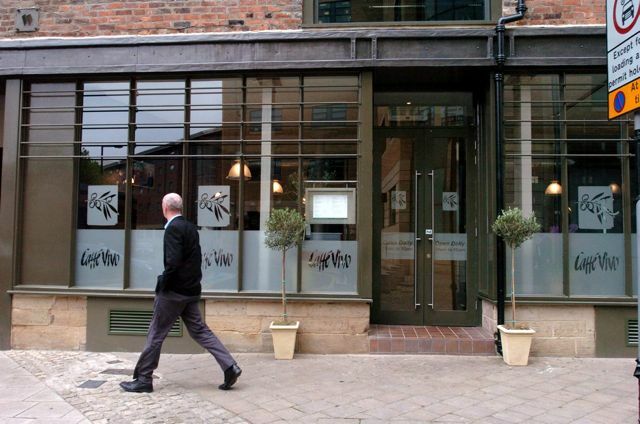 Sadly one of my favourite Italian restaurants, Secco, has now closed. You can still find good, basic Sardinian cooking at Sabatini and Fratelli, but where can you go in Newcastle for exciting, modern, simple, authentic Italian food? Frankly there’s only one option left, and it’s getting better all the time. Caffè Vivo is Terry Laybourne’s place at Live Theatre. I’ve written before that its busy, noisy atmosphere is better for lunch. It’s more osteria than ristorante, a bar with food. But what I haven’t said is just how very good the food has become in recent months. It deserves to have queues along the quayside. This is a real gastrobar. It’s modeled on those bàcari in Venice, where you can pop in and snack with a glass of local wine and some simple but tasty little dishes of meats, crostini, seafood, and crispy polenta. These small plates, called cicchetti, are Caffè Vivo’s speciality, and there’s a selection chalked on a blackboard. There’s also a fixed menu at £14.50 for two courses as well as an à la carte. Mrs Diner and I went on a busy Friday, without booking, but there was still a choice of tables. We completely ignored formality and ate Italian: that is, we ordered a random selection of dishes way beyond the demands of our appetite. They came and went at their leisure over several glasses of good ordinary wine. You can close your eyes and think of Tuscany, Umbria, Venice: there’s no specific style to Vivo’s cooking – it’s just simple, rustic Italian, and very reasonably priced. We had the freshest, most succulent mussels swimming in a heavenly spicy tomato broth. A creamy, cheesy, punchy polenta nearly launched me into a Puccini aria. We tried chargrilled calamari, meatballs made with veal, ricotta and pork, and excellent seafood tagliatelle with flaked cod. The only disappointment was branzino with bean salad, which was rather dull. It mattered not a jot for, as we ate and more dishes arrived, the grey Newcastle skies simply dissolved to blue. We drank fruity white Fiano from Sicily and strong red Negroamaro from Puglia, both less than £5 a glass. I cannot recommend this place more highly.